Llaima stratovolcano is one of Chile's largest and most active volcanoes. It is located 90 km S of Callaqui in the Araucanía Region of southern-central Chile, in the Conguillio National Park about 80 km from the city of Temuco. It is one of the volcanoes with the most known historic eruptions in South America. Its eruptions are brief episodes with spectacular lava fountains, strombolian activity and lava flows. Eruptions often occur along NNE trending fissures. A new eruption started at Llaima volcano on 4 April 09. Lava fountains and stormbolian activity from the summit vents fed lava flows travelling down the slope of the volcano. It was reported that there were ash emissions and gas plumes from cones inside Llaima's crater at 30 December-6 January. Seismicity and the intensity of the explosions decreased later that day. On 15 July, diffuse ash emissions rose to an altitude of 3.4 km (11,200 ft) a.s.l. Ash and tephra covered areas of the SSE flank. Seismic activity decreased during 16-18 July. A new phase of strombolian activity accompanied by lava flows took place at Llaima volcano on July 11. 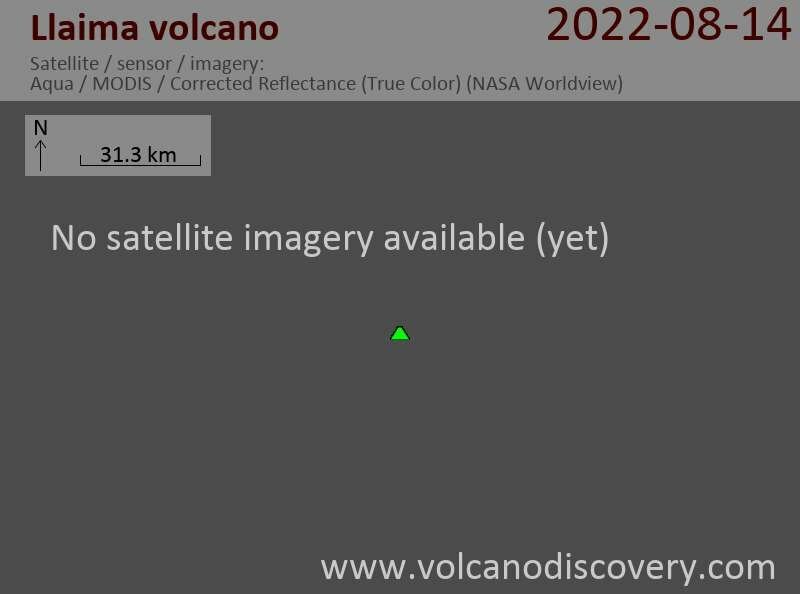 Llaima volcano is active again. On 1 July, a lava flow was seen on the W flank prompting authorities to evacuate about 20-30 people and warn others of possible further evacuations. The lava flow descended the W flank to 800-1000 m from the crater.